The underlying bug has been partially resolved as of the latest Wildstar Release - However it only works for new characters. You can install this addon, log into each of your characters once, and then safely uninstall this addon. 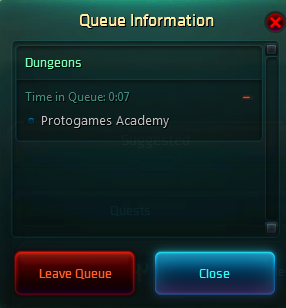 Suffering from "Rolecheck: Failed" bug and can't get into any dungeon finder content? This addon will solve that. For whatever reason, your character's available roles (DPS/Tank/Healer) are saved at a global level. This means that if you are on a tanking character and then log into a healer the system still thinks you are a tank which is invalid and blocks you from queuing. This addon makes a quick correction to your available roles when the interface loads.